Line of Sight : A straight line draws from observer eye to any object that observe by observer is known as line of sight. 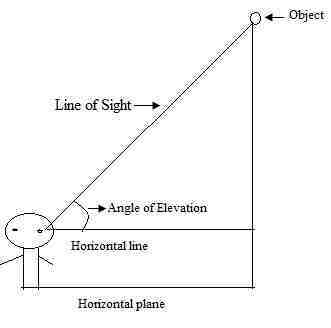 Angle of Elevation : angle between line of sight and horizontal line from observer eye is known as angle of elevation. 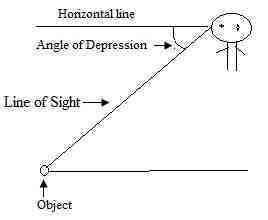 Angle of Depression : if observer seeing downward then the angle between horizontal line from observer eye and line of sight is known as angle of depression. 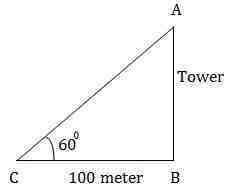 Example: The angle of elevation of the top of a tower at a distance of 100 meter from its foot on a horizontal plane is found to be 60 degree then find height of tower.